AS a home improvements company we delivery building services all the time from small scale projects like installing windows and building walls right the way through to building new build proprieties of all shapes and size, we have some images below of our latest new build projects. No mater what your building requirement is, we can delivery on price, on quality and on timescale. We can command a team of highly skilled builders and tradesmen to complete any part of any job and because we strive to give our customers the perfect finish every time, you are guaranteed to be happy with what ever we do for you. 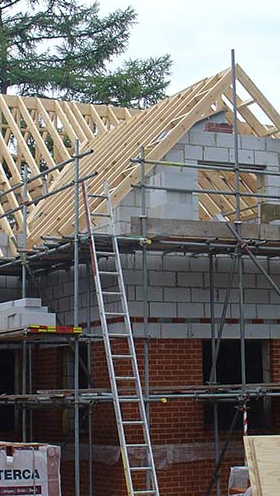 For a no obligation discussion of your building project, invite our surveyors round for a chat about your requirements.